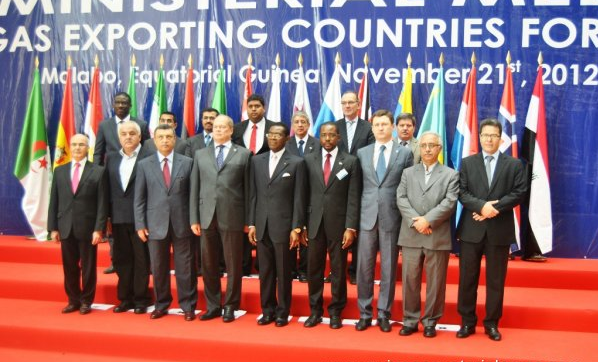 Ministers of the Gas Exporting Countries Forum (GECF) came together on November 21, 2012, in Malabo, the capital of Equatorial Guinea, for the 14th Ministerial Meeting of the Gas Exporting Countries Forum. The GECF is an international governmental organization that brings world’s leading gas producers together to increase the level of coordination and strengthen the collaboration among member countries. The first GECF was held in Tehran in 2001. Gabriel Obiang Lima, Equatorial Guinea’s Minister of Mines, Industry and Energy, and other participants from gas exporting countries discussed developments in the global natural gas market and the forum’s efforts to promote stable supply of natural gas to ensure the security of sustainable demand. The forum highlighted the importance of natural gas as a green fuel and discussed the changing nature of gas-market dynamics, technologies, and renewable energy sources. The GECF also addressed global environmental challenges and encouraged member countries to cooperate with industry stakeholders to achieve the objectives of the GECF. Twelve member countries attended the forum. In addition to host Equatorial Guinea, participants were Algeria, Bolivia, Egypt, Iran, Libya, Nigeria, Oman, Qatar, the Russian Federation, Trinidad and Tobago and Venezuela, while Norway, the Netherlands and Kazakhstan were present as observers. Equatorial Guinea participated in the First Summit of Heads of State and Government of Gas-Exporting Countries, held on November 15, 2011 in the city of Doha, Qatar. The International Polytechnic University of Benin awarded President Obiang Nguema Mbasogo of Equatorial Guinea with the academic title Honoris Causa in Economic and Social Development Sciences. 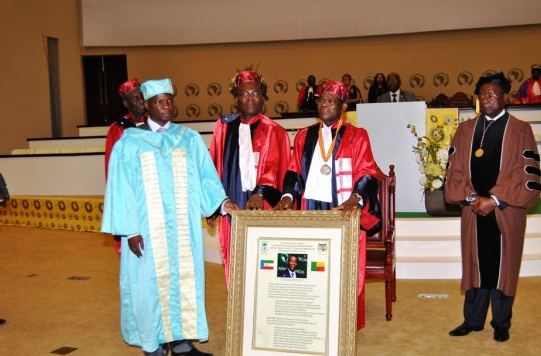 The International Polytechnic University of Benin awarded President Obiang for his efforts to solve the problems of Africa during his time as Chairman of the African Union and for his Pan-Africanist spirit, the construction of the African Union city of Sipopo, as well as the continuous development of Equatorial Guinea. He also recalled to the credit of the President: the UNESCO-Equatorial Guinea award, the contribution of $30 million to the FAO, United Nations, the contribution for aid to Somalia and other countries that have suffered natural disasters and the great organization of major events that have taken place recently in Equatorial Guinea, such as the African Union Summit and the men's and women's African Cup. During the ceremony, President Obiang announced the construction of two university campuses in Malabo and Bata and the creation of an African American University in Equatorial Guinea. 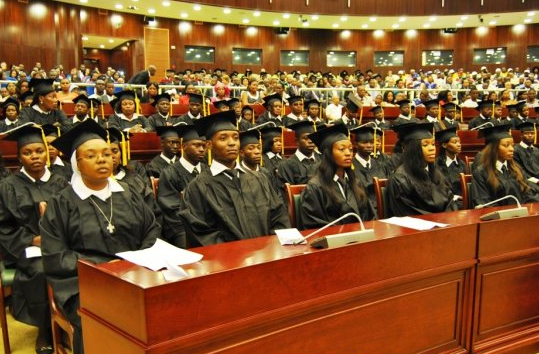 Following this event, there was a graduation ceremony for the 267 university graduates of the National University of Equatorial Guinea (UNGE). UNGE’s student enrollment has reached 8,000 students. President Obiang has received academic honorary degrees by the universities of Yacambú (Bolivarian Republic of Venezuela), Costa Rica, St. Petersburg (Russia) and National University of Equatorial Guinea, and the Study Center for Popular Democracy (CEDEPU) in Chile. 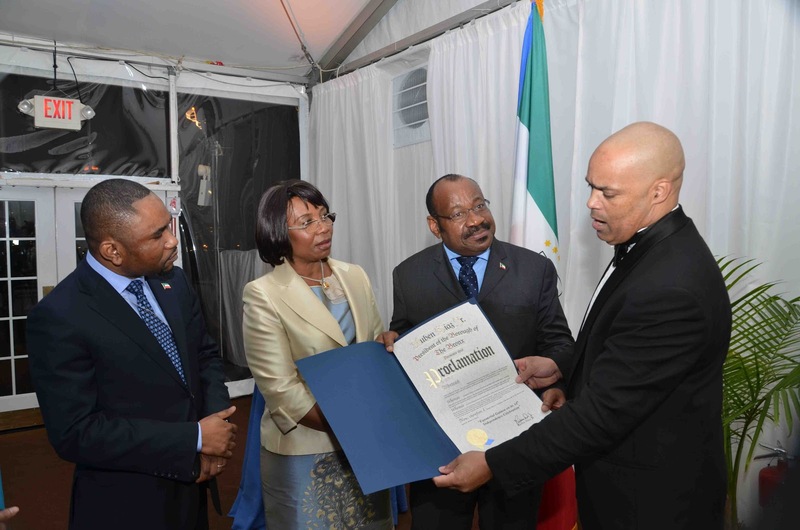 The Permanent Mission of the Republic of Equatorial Guinea to the United Nations celebrated the 44th anniversary of the independence of Equatorial Guinea, on November 9th, at the United Nations headquarters. Anatolio Ndong Mba, Ambassador of the Permanent Mission of Equatorial Guinea to the United Nations, stressed the development the country is experiencing from the oil exploitation and the efforts of President Obiang Nguema Mbasogo, the Government and the people of Equatorial Guinea to become an emerging country by 2020. During a press conference with the television to African-Caribbean (ACRTV) based in New York, Ambassador Ndong Mba spoke about the past and the present of Equatorial Guinea. - His Excellency Mr. Marty Markowitz, Borough President of the municipality of Brooklyn, New York, also in recognition of the leadership of H.E. the President of the Republic in the campaign against pandemics such as HIV/AIDS.of the Republic in the campaign against pandemics such as HIV / AIDS. Heads of State and delegates from the African, Caribbean and Pacific countries will come together from December 10-14, 2012, in Malabo, the capital of Equatorial guinea, for the 7th Summit for African Caribbean and Pacific Heads of State and Government (ACP). President Obiang Nguema Mbasogo, along with African, Caribbean and Pacific group leaders will meet to strengthen South-South solidarity and collaboration, Millennium Development Goals, sustainable development programs in ACP communities, and to enhance ACP countries role in the global arena. This is another effort by the government to strengthen its cooperation ties with the international community. “This is a great opportunity to show the world our organizational capacity, and also for those who visit our country for the first time, to see the true reality of Equatorial Guinea,” said Vicente Ehate Tomi, Equatorial Guinea Prime Minister. This year’s ACP Summit theme will be “the future of the ACP group in a Changing World: Challenges and Opportunities,” and will focus on the future of ACP-EU relations, opportunities for ACP partnerships with emerging economies, intra-ACP trade, energy and sustainable economic development, and peace and security issues. The previous ACP Summit was held in Ghana in 2008 with a focus on the impact of the international financial hurricane of oil and food prices. “I am convinced that the 7th Summit of ACP Heads of State and Government which will take place very soon in Equatorial Guinea will give us the chance to reaffirm this solidarity. 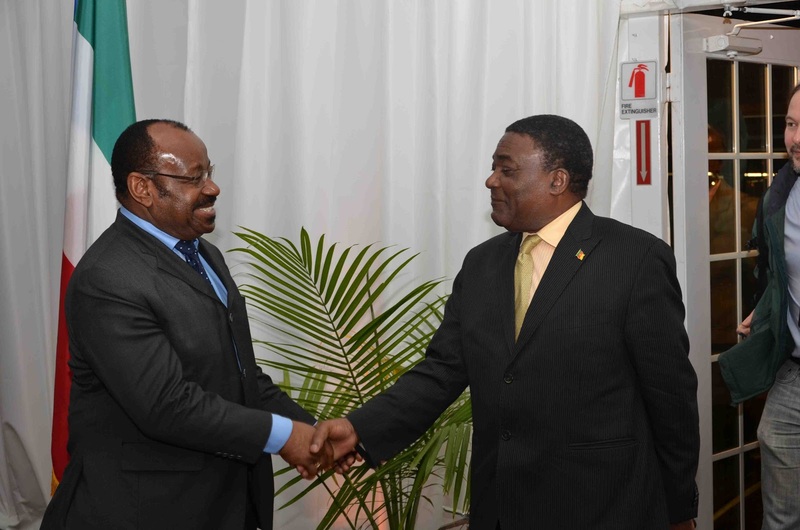 I have no doubt that this meeting will, for us, be an opportunity to express our faith more strongly in the capacity of our Group to make the best of its partnership with the European Union, in defining more timely and innovative orientations for the Group,” said H.E Ali Bongo Ondimba, President of Gabon. ACP is an association of African, Caribbean and Pacific countries formed to coordinate the agreements of the Lomé Convention of 1975, later included in the context of the objectives of the Cotonou Agreement, signed in 2000. Its objectives are to coordinate the activities of the ACP States, in the framework of the implementation of that agreement, and to define common positions of member countries in relation to the European Union (European Development Fund). 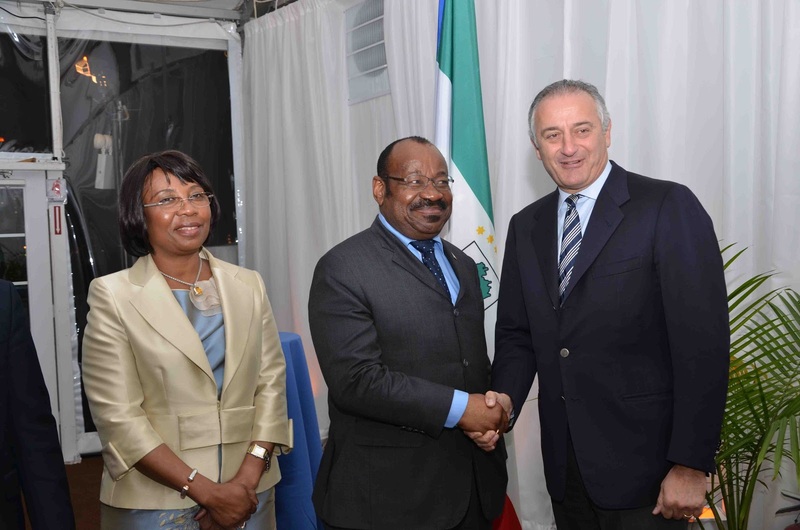 Sipopo has also hosted events associated with the African-South American Summit. It was the host of the African-South America Forum, at which ministers of foreign affairs from 65 countries came together, and it will host the summit at a later date this year. In June and July, Equatorial Guinea hosted the African Union Summit, and in August the country was also the host of the 9th Leon H. Sullivan Summit, in Sipopo. The International Criminal Police Organization, commonly known as INTERPOL, has informed the government of Equatorial Guinea that it has blocked a request by a French investigating magistrate for an international arrest warrant for the Second Vice President of the Republic of Equatorial Guinea, Teodoro Nguema Obiang Mangue. The investigative magistrate is pursuing charges brought by an NGO, not the French government, that a residence and furnishings in Paris were purchased by Vice President Nguema with the fruits of corruption. Vice President Nguema and the government of Equatorial Guinea have denied the charges. The government of Equatorial Guinea has said that the property in question is diplomatic property owned by the state, and has charged the French government with violating the Vienna Convention on Diplomatic Relations. In a related matter a member of the NGO that has made the allegations is, himself, avoiding an international arrest warrant. Luisa Lopes, College of Coastal Georgia student and Brazilian native, traveled to Equatorial Guinea this summer and worked with children living in tribal villages. Lopes spent 21 days in Equatorial Guinea, where her father works as a human resources director for A.R.G., Brazilian civil construction company, while her mother, a former educator, is involved in social work and dedicates most of her time to Equatoguineans in tribal villages. She teaches them how to cook and use corn to make different meals, among other things. Corn is a readily available staple in Equatorial Guinea. While Lopes mother visited the tribal villages, she was able to play with and teach personal hygiene to the local children, ages 2 to 16. Lopes enjoyed her experience in Equatorial Guinea and helping people at the tribal villages. “Lopes said she would like to return before her father's services are done in Africa – which could be sometime next year. She said the experience made her want to help others more in the future,” said an article from College of Coastal Georgia Athletic News.